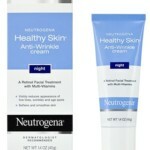 Neutrogena is also a U.S based cosmetic product. It was founded in 1930 and has its headquarters located in Los Angeles. It provide many products like cosmetics, skincare, cleansers, body and bath products, hair products and moisturizers. The brand rating of Neutrogena is AAA- and its brand value is $ 6,248 m.The performance of its products has increased making its ranking high from no.6 to no.4. Strengths: Inexpensive; some superior water-soluble cleansers; good topical scrubs; effective AHA and BHA products; several retinol options, all in stable packaging; vast selection of sunscreens, most of which offer excellent UVA protection; good variety of self-tanning products; several fragrance-free options; most Healthy Skin products are state-of-the-art; almost all of the foundations with sunscreen provide sufficient UVA protection; the Moisture shine Gloss. Neutrogena’s “beautiful and beneficial” pronouncement is a great tag line, but most of their makeup doesn’t live up to that assertion. This line was lacking in several key areas when it first hit store shelves in 1999, and although some things have improved, the number of problematic products is a bit startling. (not aware of any cosmetic line that uses menthol or its derivatives as often as Neutrogena.) Each product carries on about the vitamins it contains, yet compared to the leading roles played by cosmetic staples like silicones and thickening agents; the vitamins have mere cameo roles, and as such have little to no impact. There are a few key items to seek out, especially if you’re looking for makeup with excellent sun protection. We also found their lip gloss to be one of the best at any price, and a few of their foundations successfully bridge the gap between skin care and makeup. The most frustrating aspect of this line is that almost all of it is packaged so you cannot see the color. Even worse, the color swatch on the box is a poor representation, not only of how the color looks in the compact, but also how it looks on your skin. What would truly be beneficial is for Neutrogena to offer more revealing packaging or provide testers or offer trial sizes. Their overall collection and in-store displays aren’t nearly as tempting as most other drugstore makeup lines, so in most cases they’re relying on their constant magazine and television ads to drive shoppers to explore the world of Neutrogena makeup, or they’re relying solely on those who don’t mind guessing what color they are really buying. It’s obviously working, because despite the problematic elements, this is a line that has survived and is very well distributed. Provides more than just gentle cleansing for even the most sensitive skin. This rich, dermatologist-recommended formula adds back moisture every time you use it. Skin is left more moisturized, so it retains resiliency and suppleness. With anti-irritants Chamomile and Vitamin E, its soap-free formula provides gentle yet effective cleansing, and it won’t leave a filmy residue that can clog pores. 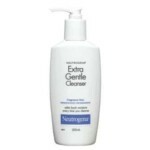 Extra Gentle Cleanser remains one of Neutrogena’s standout cleansers. It is an excellent option for normal to dry or sensitive skin, including those with eczema or rosacea. The fragrance-free, lotion-textured formula contains mild cleansing agents and some good anti-irritants, but these aren’t as effective in a cleanser as they are when they are left on the skin. Fresh Foaming Cleanser is a cleanser and makeup remover in one. Removing makeup before you go to bed has never been easier. This dermatologist-tested formula effectively removes dirt, oil and makeup. It even removes eye makeup, without soaps or oils that can sting or irritate the sensitive eye area. No more raccoon eyes! It rinses completely and won’t leave any pore-clogging residue. Forget the excuses and get refreshingly clean skin and complete makeup removal in one step. 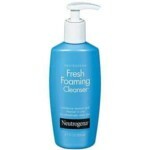 Fresh Foaming Cleanser is a superb water-soluble cleanser for normal to oily or combination skin. It removes makeup easily and rinses without a trace. This does contain fragrance, though it’s not an intense amount. 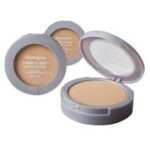 Mineral Sheers Powder Foundation SPF 20 provides light to medium coverage, a soft matte finish, and impressive mineral sun protection (from titanium dioxide) in one sleek mirrored compact. This pressed powder foundation has a smoother, more elegant texture than Neutrogena’s former Healthy Defense Protective Powder SPF 30. Mineral Sheer also looks more natural on skin (though it still looks like makeup). Coverage, even when you apply it with a sponge, is sheerer than what you get with standard pressed-powder foundations. However, this is an excellent way to boost the protection of your foundation or daytime moisturizer with sunscreen. Among the eight mostly excellent shades are options for fair to tan skin tones. Honey Beige 70 is best avoided due to its overt orange tone. 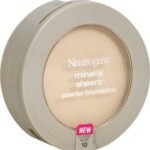 This powder foundation with sunscreen is recommended for all skin types. This gentle, dermatologist-tested, foaming formula clears away dirt, oil and impurities and completely removes makeup, giving you refreshingly clean skin. Plus, it rinses clean with no pore-clogging residue, and is gentle enough for daily use, even on acne-prone skin. This is a well-formulated cleanser that is suitable for normal to oily skin. It is also fine for acne-prone skin, as are most water-soluble cleansers. The claim that this rinses without a residue is true, but that applies to any well-formulated water-soluble cleanser. 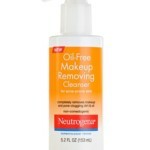 This option removes makeup and refreshes skin without the needless irritants, such as menthol and peppermint, which other Neutrogena cleansers contain. Although this does contain fragrance, the amount is minimal, and as such this cleanser deserves our top rating. Forget harsh tugging and pulling. This ultra-gentle dual phase formula activates when shaken to remove all eye makeup–even waterproof mascara–without any greasy residue it is ophthalmologist tested, safe for contact lens wearers and oil free. Oil-Free Eye Makeup Remover is a gentle, fragrance-free, silicone-based dual-phase remover that works well to dissolve eye makeup, including waterproof formulas. Removers such as this may be used before or after cleansing. Oil-free formula visibly reduces the appearance of fine lines and wrinkles and softens and smoothed the skin without clogging pores. Healthy Skin Anti-Wrinkle Cream, Night is a good, fragrance-free moisturizer with retinol for normal to dry skin. The retinol is packaged to keep it stable, the amount of green tea is impressive, and the formula contains tiny amounts of two forms of Vitamin E. It is definitely one of the better retinol products at the drugstore. SPECIAL NOTE: This line of products is creating a lot of confusion for readers, so to clarify for readers the information that Paula’s choice team have confirmed through Neutrogena regarding these products. Healthy Skin Anti-Wrinkle Cream, Night used to be called Healthy Skin Anti-Wrinkle Cream Original Formula. What is now called Healthy Skin Anti-Wrinkle Cream Original Formula is a different product that has an added SPF 15. A gentle, oil-free formula that physically blocks the sun’s damaging rays without irritating chemical sunscreens.Enriched with antioxidants and special moisturizers for healthier looking skin.Vanishes on skin for a weightless, non-greasy feel. Gentle enough for even the most sensitive skin. Hypo-allergenic, non-comedogenic, PABA-free and dermatologist recommended. This longstanding fragrance-free Neutrogena sunscreen remains a good choice for those with sensitive skin, including those struggling with rosacea. The sole active ingredient is titanium dioxide, formulated in a creamy base that is easy to spread. It’s disappointing that antioxidants and soothing agents are in short supply, but they’re potentially helpful, so this deserves a Best Product rating due to its value for sensitive skin. Note that the amount of titanium dioxide can leave a white cast that’s difficult to soften. Sensitive Skin Sunblock SPF 30 is an option for use on facial skin, too. 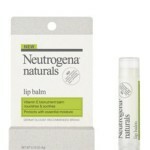 This affordable lip balm is about as close to natural as it gets for treating dry, chapped lips. The wax-based formula contains some great emollients and antioxidant-rich plant oils that leave lips smooth, soft, and protected. Because this doesn’t contain sunscreen, it is recommended for use only at night. Gentle, emollient-rich formula works great on dry, chapped lips. Does not contain irritants like menthol or peppermint, which many lip balms do. About as close to natural as a lip balm can get! Omits fragrance, but does contain flavor. Lack of sunscreen means its use is relegated to nighttime (lips need sun protection during the day). That sounds impressive, but in reality what they’re stating is neither unique nor revolutionary. What they’re telling you is true: Lots of cosmetic ingredients have a natural source, but the process many natural ingredients go through to make them suitable for use in cosmetics is anything but natural. In that sense, the question comes down to how a company and individual consumers define “natural.” There certainly isn’t a mutually agreed-on definition within the cosmetics industry, but we applaud Neutrogena for explaining it in a way that’s much more straightforward than what many so-called “natural” brands claim. Interestingly, Neutrogena also mentions that their Naturals products contain synthetic fragrance. Completely cleans skin and removes makeup in one step without stripping skin’s natural moisture. This Peruvian Tara seed bionutrient rich cleanser leaves skin soft and rinses clean. Developed for gentle eye area. This inexpensive cleanser is not “bionutrient rich,” which is the term Neutrogena uses to describe the plant extracts. It is, however, a very good water-soluble cleanser for all skin types except sensitive, because the formula includes fragrance. True to its name, this removes makeup, too. Gentle, water-soluble formula cleanses without making skin feel dry. Rinses without a trace of residue. Shine Control Powder is a good, lightweight, fragrance-free option for reducing the appearance of oily skin throughout the day. Although this translucent pressed powder can be used to set foundation, it’s best used for touching up oily (or potentially oily) areas—think of this product as a nearly invisible powder alternative to blotting papers. The new “Rice Protein Complex” that Neutrogena boasts about is vague and likely meant to appeal to those who prefer natural ingredients; however, this form of rice is a good absorbent ingredient for oily skin, and this product works well to keep excess shine in check. Note: A sponge-like applicator is included in the compact, but for the sake of freshness (and to prevent oil buildup in the compact), suggested either buying extra application sponges, or, better yet, dusting the powder on with a brush. Lightweight, doesn’t cake over makeup. Translucent, works for all skin tones. 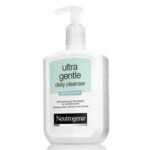 Neutrogena® Ultra Gentle Daily Cleanser combines the superior cleansing of Neutrogena® technology with the maximum gentleness of a sensitive skin cleanser. Although the name of this water-soluble cleanser is a bit misleading (a truly ultra-gentle formula would be fragrance-free, and this contains a small amount of fragrance) on balance it’s a good, gentle formula for normal to dry skin. The primary cleansing agents are quite mild, yet the fragrance doesn’t make this a slam-dunk for sensitive or rosacea-affected skin. It’s also not cleansing enough for oily skin but may be OK for combination skin that’s not too oily. Otherwise, this wins high marks for its silky feel, ability to remove most types of makeup, and clean-rinsing formula that doesn’t leave skin feeling dry or tight. 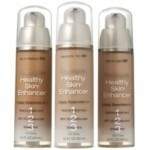 Healthy Skin Glow Sheers SPF 30 is a very sheer, tinted moisturizer that’s ideal for normal to slightly oily skin. It has a feather-light texture that glides over skin and sets to a soft matte (in feel) finish. Left behind is almost translucent color and a soft, natural-looking glow. Of course, the glow makes oily areas appear oilier, but if that’s not a cause for concern (or if you have slightly dry skin) this will be perfect. The base has several antioxidants to help the in-part titanium dioxide sunscreen keep skin protected. One caution: The Bronze Glow shade does not contain any UVA-protecting ingredients (meaning titanium dioxide, zinc oxide, or avobenzone) and should be avoided. The other shades are all recommended. Due to this product’s partially clear tube packaging it is necessary to make sure you protect it from excess light exposure. For best results, store in an opaque makeup bag or drawer/cabinet. Note: Although this foundation provides broad-spectrum sun protection on its own, you must apply it liberally and evenly to get the stated level of protection. A sheer or spot application will not provide the amount of sun protection the label indicates. If you’re not likely to apply this foundation liberally, we recommend applying it over a moisturizer with sunscreen rated SPF 15 or greater and setting your foundation with a pressed powder rated SPF 15 or greater. This lightweight formula was developed with dermatologists and works in three ways: Moisturizes and nourishes skin to transform uncomfortably dry, hands into soft, smooth hands; Helps repair skin’s moisture barrier to keep hands softer and smoother, longer; instantly absorbs into skin and leaves behind only the comfort of perfectly soft, supple, smooth hands. This silky, lightweight hand cream makes good on its claims of transforming dry hands into comfortably smooth, very soft hands. It works quickly to banish dryness without a greasy or thick feel, and its silicone content helps seal moisture in and holds up well to hand-washing. Compared with most hand creams, this contains a good mix of emollients, antioxidants, and water-binding agents. 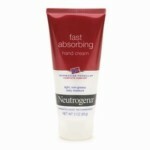 It is definitely Neutrogena’s most elegant hand cream, and the fragrance is subtle. Consider this a winner unless you have exceedingly dry hands. If that’s the case, you can’t go wrong with Paula’s Choice Beautiful Body Butter. Healthy Skin Pressed Powder has a formula that’s talc-based, with a soft, silky finish and its sunscreen is pure titanium dioxide. The colors are actually quite attractive and workable for fair to medium skin tones. Its sunscreen element is a great add-on for extra sun protection over your moisturizer or foundation with sunscreen. As with any pressed powder with sunscreen, we don’t recommend relying on this as your sole source of sun protection because liberal application (necessary to reach the SPF on the label) would result in a heavy, “made up” look. Neutrogena Healthy Skin® Primer instantly evens and brightens skin, and optical modifiers help minimize the look of imperfections all day. Healthy Skin Primer contains Natural Soy, a proven tone correcting ingredient, and helps to even the look of skin for 8 hours with or without makeup. This is a very good silky foundation primer that contains built-in broad-spectrum sun protection. Avobenzone is on hand for reliable UVA (think anti-aging) protection, yet this is not the best product to rely on for sun protection. Why? Well, in order for sunscreen to provide optimum protection, it must be applied liberally. In contrast, a thin layer of foundation primer is often all that’s needed for best results. Applying too much primer can create a slick surface, causing makeup to slide right off and not blend properly. Because of the sun protection/application issue, we don’t recommend relying on this primer as your sole source of sun protection; however, it’s great applied over your daytime moisturizer with sunscreen (or you can follow with a foundation rated SPF 15 or greater). Healthy Skin Primer contains light-reflecting ingredients and a dash of cosmetic pigments to help illuminate (brighten) and make skin tone look more even. It’s a cosmetic effect, but it works while looking natural. You’ll find this primer feels light and is very easy to blend. It leaves skin feeling matte but with a soft, satin-like glow that doesn’t look greasy. The fragrance-free formula contains some beneficial ingredients, including antioxidant soy and anti-irritant feverfew. It would be nice if these ingredients were present in higher concentrations, but given most primers omit such ingredients, it’s not fair to ding Neutrogena. This primer is recommended for all skin types except extra-sensitive, because the active ingredients aren’t the best for those with sensitive skin (mineral actives of titanium dioxide and/or zinc oxide are preferred). “Gorgeous” is a perfect word to describe how this pressed-powder blush and bronzer looks on skin. 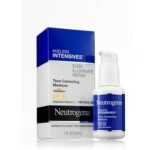 Neutrogena offers six duos, all beautifully coordinated and best for fair to medium skin tones. The blush portion has a satin shine, while the bronzing powder has a sparkling shine, but it’s not glaring or garish (and the shine stays in place). Used alone or together (and they’re best mixed together with one large blush brush), this offers a smooth texture and even smoother application. This inexpensive way to give cheeks a healthy glow any time of year! MoistureShine Gloss has all the best attributes of a lip gloss: it comes with a hygienic wand applicator, has a smooth, non-sticky texture that feels moisturizing but not goopy, and leaves lips looking evenly glossed rather than overly wet. The selection of shades (most are shimmer-enriched) is beautiful and each goes on sheerer than it appears. This light, residue-free lotion gently dissolves your hard-to-remove eye makeup while conditioning your eye area. The unique formula quickly removes makeup–even waterproof mascara–while still being gentle enough to use daily. This is a standard, but effective, fragrance-free eye-makeup remover. If you prefer a makeup remover with a lotion texture rather than a liquid texture, this is absolutely worth considering. It is suitable for all skin types (including sensitive), and deserves our top rating due to its mildness and the good range of skin-conditioning ingredients (some of which also help remove makeup). This product is suitable for taking off waterproof or long-wearing makeup, too. Ageless Intensives Tone Correcting Daily Moisturizer SPF 30 features powerful ingredients for brighter, more radiant skin, noticeably more even skin tone and diminished look of dark spots. The stabilized Vitamin C helps reduce the look of dark spots and visibly evens skin tone, Retinol|SA works continuously to renew the look of skin throughout the day, and Helioplex® provides superior protection against skin aging UVA rays and helps prevent future discoloration. Although this fragranced daytime moisturizer with sunscreen doesn’t contain a significant amount of ingredients known to lighten skin discolorations (other than what every sunscreen offers skin in that regard), it is a very good option for those with normal to oily skin. The silky formula includes avobenzone for sufficient UVA protection and also includes several antioxidants, cell-communicating ingredients (including retinol), and a tiny amount of anti-irritants. The consistency of this moisturizer with sunscreen allows it to work well under makeup, too. 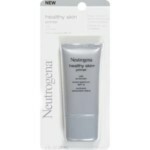 It is one of Neutrogena’s better daytime moisturizers with sunscreen. Note that this contains a small amount of the mineral pigment mica, which lends a bit of a shiny finish. This face wash contains natural salicylic acid found in Willowbarkbionutrients to penetrate deep into pores to detoxify and help remove dirt, oil and makeup, while rinsing clean without pore-clogging residue. This is a very good, gentle water-soluble cleanser that’s suitable for all skin types except sensitive, because it contains fragrance; without fragrance it would have been perfect for sensitive skin as well. For details on the claims behind Neutrogena Naturals, please see More Info below. 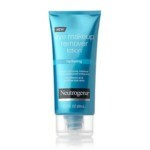 Works to remove makeup (waterproof formulas may require a separate remover). There certainly isn’t a mutually agreed-on definition in the cosmetics industry, but we applaud Neutrogena for explaining it in a way that’s much more straightforward than what many so-called “”natural” brands claim. 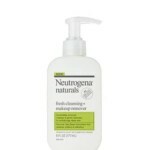 Interestingly, Neutrogena also mentions that their Naturals products contain synthetic fragrance. Healthy Skin Enhancer SPF 20 combines an in-part titanium dioxide sunscreen with retinol and a hint of color, all of which enhance skin due to their respective qualities. Moreover, there is more than just a dusting of retinol in this product, which makes it unique! It has a light, creamy texture and a satin finish appropriate for those with normal to dry skin. If an oily T-zone is an issue, this product should be set with powder to reduce the sheen it leaves on skin. 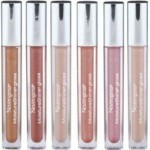 The six sheer shades are great and include options for fair (but not very fair) to tan skin tones. In addition—and this is again unusual for a foundation—plenty of antioxidants are included. 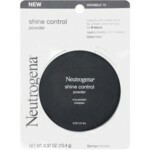 This product proves that Neutrogena is capable of setting new makeup benchmarks for their drugstore contemporaries to strive for, rather than just keeping up with their competitors. Due to this product’s translucent bottle packaging it is necessary to make sure you protect it from excess light exposure. For best results, store in an opaque makeup bag or drawer/cabinet. With powerful Micro Clear technology works around the clock in 3 different ways: treats acne even before it emerges, hydrates and softens skin, and reduces redness and irritation. This silky non pore-clogging formula is so light it absorbs quickly, leaving no greasy residue on your face. It works continuously to clear, hydrate and soften your skin. Breakthrough MicroClear technology is clinically proven to boost the delivery of acne medicine, unclogging congested pores and speeding treatment deep and fast to the source where breakouts begin. What’s more, naturally derived skin-soothers, green tea and cucumber, help reduce redness and irritation, leaving skin looking and feeling soft and stress free. 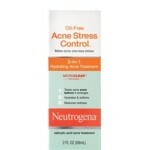 Oil-Free Acne Stress Control 3-In-1 Hydrating Acne Treatment gets Neutrogena back into the BHA game, and it’s about time! Most of their previous BHA products either contained irritating ingredients (particularly alcohol and menthol) or had a pH that was too high for effective exfoliation to take place. This version contains 2% salicylic acid at a pH of 3.4, and comes in a nearly weightless silicone base that includes antioxidants and anti-irritants. Although the inclusion of fragrance and coloring agents is a slight disappointment, it’s a relief that Neutrogena omitted menthol or its derivatives, making this an all-around ideal BHA lotion for skin of any type battling blemishes. Tip: For a similarly-effective acne-fighting BHA product without the fragrance or coloring agents, recommend Paula’s Choice 2% Beta Hydroxy Lotion , CLEAR Regular Strength Targeted Acne Relief Exfoliating Toner or CLEAR Extra Strength Targeted Acne Relief Toner (for severe acne).